D’Chrome Foster is a Brooklyn-bred Hip Hop artist who fights to be a force for positive energy. A self-proclaimed “Warrior of Intelligent Stimulation”, he uses his music to stimulate intelligent strength not often displayed in today’s society. As the son of Caribbean parents D’Chrome Foster was immersed in music at an early age. Growing up in his Flatbush, Brooklyn home, he was surrounded by the soulful sounds from 8 tracks and LP’s from every genre of music. This rich sonic environment lead to his writing his first song at the age of three. Perfecting his craft through his teenage years, he decided to start recording his catalog of songs when he was nineteen. He then spent many years as a battle emcee, facing the likes of legendary hip hop artists like Immortal Technique, Jin and Pac FM, and was also crowned winner of Hot 97’s summer jam battle. D’Chrome Foster strives to be a force for positive energy, using his music as his weapon. In August of 2014 D’Chrome released his single, MANHOOD, a track that showcases the struggles between a man and his woman. Following the release of MANHOOD, D’Chrome released CYANIDE in Dec of 2014. Both tracks and their accompanying videos tell varied and compelling stories of today’s social issues. His track, “JANUARY” was released on Jan 26th and he doesn’t plan to slow down anytime soon. 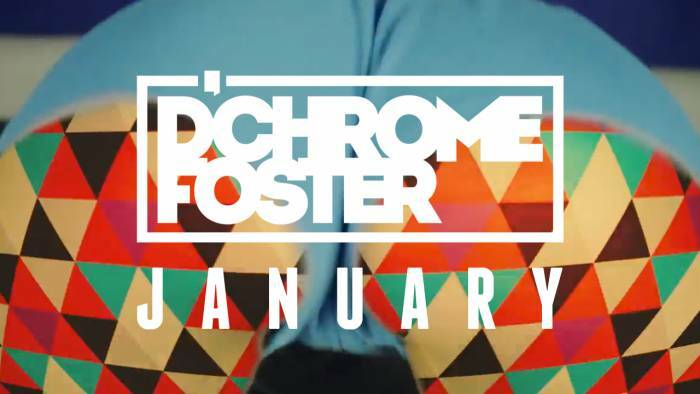 Along with fresh new freestyles due out every other week, 2015 is shaping up to be the year of D’Chrome Foster. Listen, watch and learn more at h​ttp://www.dchromefoster.com. © 2015, @BWyche. All rights reserved.